Power over Ethernet or PoE has been around for some time now. It has brought about a revolution in the way business organization operate by enhancing various systems. Widely used to power devices like IP cameras, VoIP phones, wireless access points and network routers, Power over Ethernet has highly contributed to streamlining of the access control systems. Apart from amplifying the effectiveness of access control structure, this innovative system also helps in reducing the cost. Although PoE offers many benefits, many people are still unfamiliar with its features. 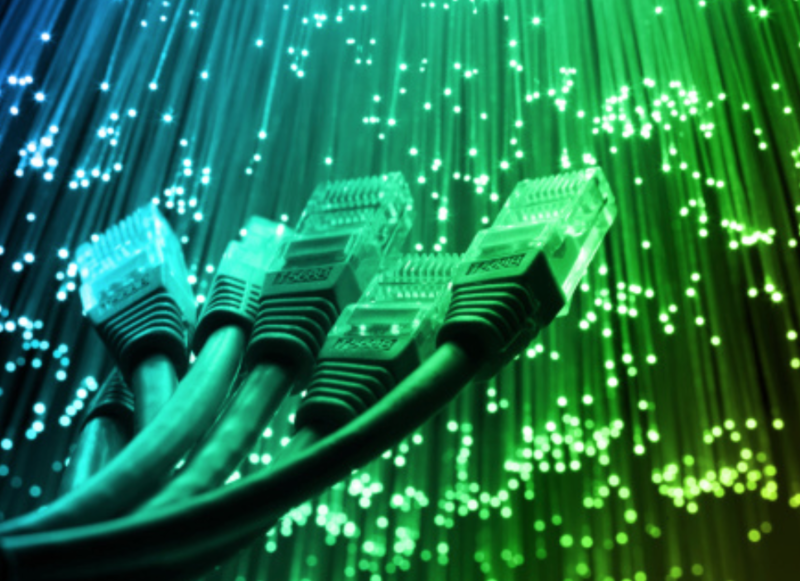 In case you wonder what Power over Ethernet is, or why you should invest in it, here are some important points about this technology. 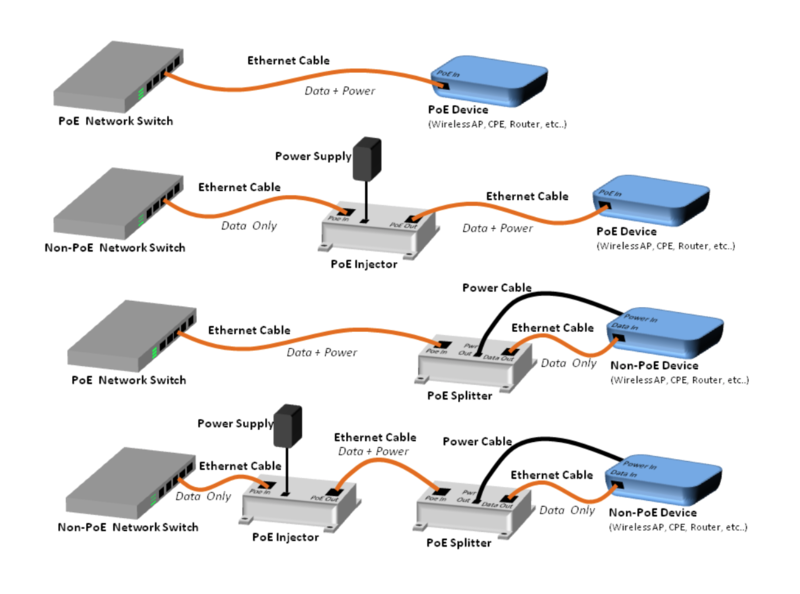 Let’s get started with understanding Power over Ethernet. Power over Ethernet or PoE is a system to power devices with cables that allow both data and electric power to pass through them (as indicated in the Image 2 below). The twisted pair Ethernet cabling facilitates the use of one single cable to build the network. The electric current and data are simultaneously transferred through two separate wires used within the cable. If the device connected to twisted Ethernet cable does not have PoE, they will only receive the data from the cable. Alternative A: This standard uses only two of the available four signal pairs in a typical Cat 5 cable. Although it is effective, troubleshooting in this standard is a little difficult. Alternative B: Making trouble- shooting easier, Alternative B separates power conductors from the data conductors. Apart from that, Alternative B also makes use of all four twisted pairs in a typical Cat 6 PoE cable. What Does it Mean for Access Control Systems? Power over Ethernet has created a huge impact on the physical security systems of any organization or any building management, to begin with. PoE standard upgraded in 2009 to PoE+ is suitable to provide power (up to 25.5 W) to type 2 devices. The previous standard provides 15.4 W power to type 1 devices. This specification facilitates the maximum power consumption at the device end along with the smooth transfer of data. This data allows access control devices to transfer data for better controlling as illustrated in the image below. 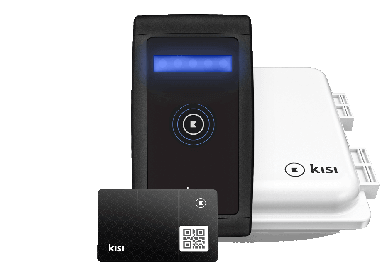 The system allows a communication with your crucial points installed in access control networks such as electric door locks, biometric readers, exit request devices, etc. manufacturers incorporate the revolutionary system in stepping up the security game with effective products that control both entry and exit to a building premises like in the image below. Other physical security systems like video surveillance make use of PoE cables powering the security system. RS-485 systems deployed to each controlling points within the network of access control independently. Although the power is provided through a hard-wired power supply case, it also contains batteries that charge up to provide backup during a power failure. 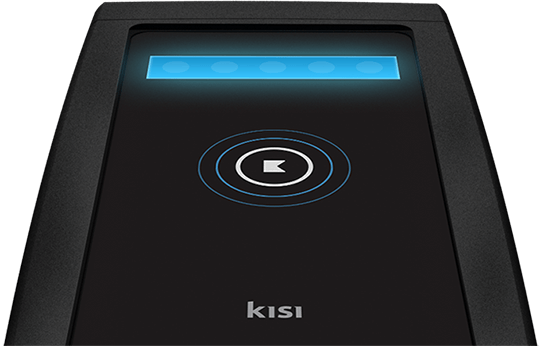 IP based access control systems are developed for easy integration into the existing IP structure of any facility. Controllers that control the access through the single access point is suitable for a distributed architecture. 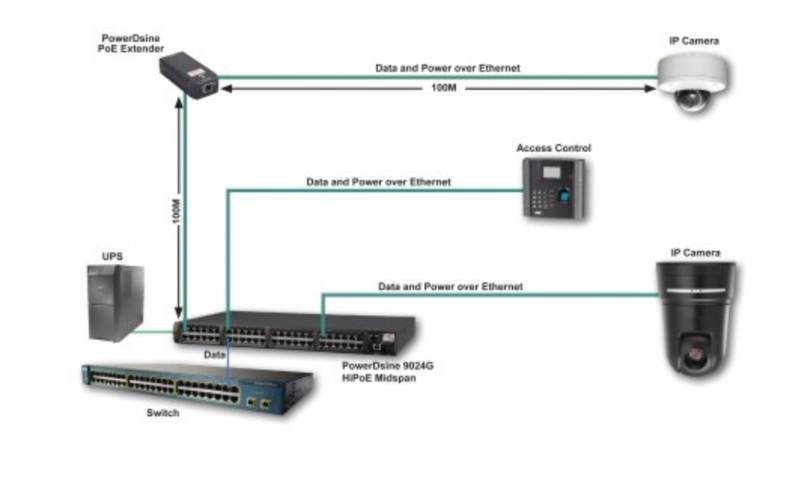 PoE enabled switches is a network switch that has a built in injection and simply connects the other network devices helping to detect their compatibility. 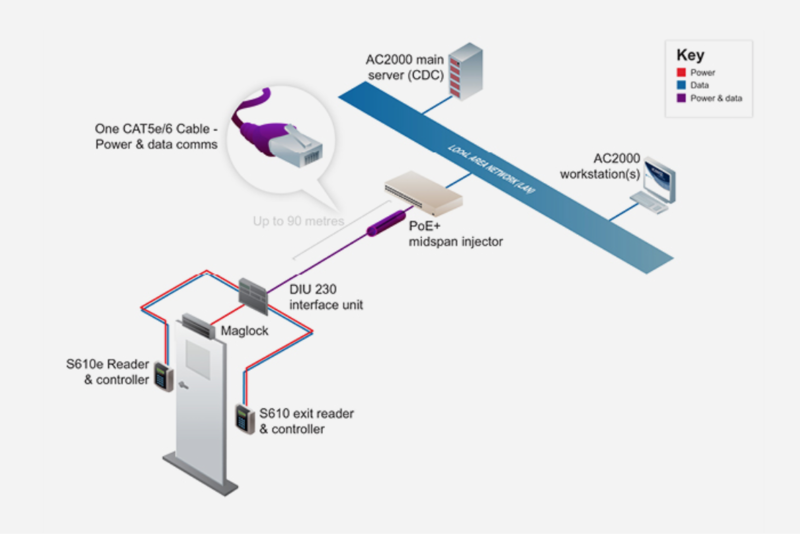 PoE injector is used to make the regular non-PoE Network Links compatible by adding PoE capability. Powered patch panels, PoE splitters, and single port injectors are some other solutions that support a healthy PoE network. 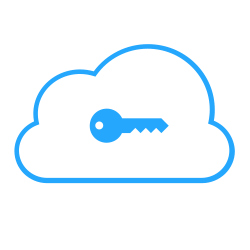 The types of products needed will depend on the device like it is shown in the image below. 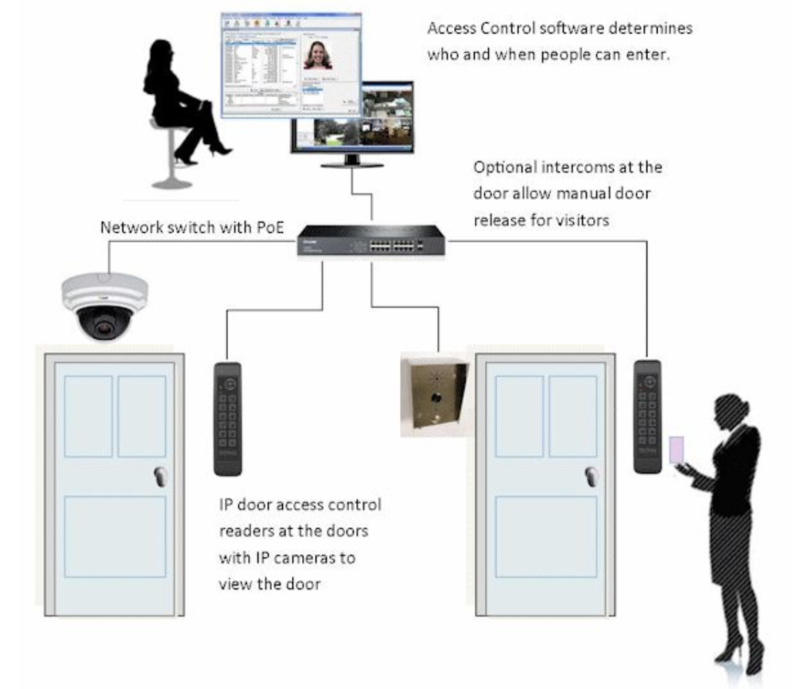 Access control systems that utilize the components of POE have been introduced a few years ago. The evolution of access solutions into systems that use IP protocols, POE, and structured cable was inevitable. This infrastructure leverages the existing IT network system and also eliminates the need for a local source of power. This helps in consolidating the cost. With single POE cable being used installation is easier and takes less time. Implementing PoE in an existing or a new Ethernet network requires a few devices depending on the building security requirements. The security requirements of any premises are also tested on scalability, flexibility, and manageability to enhance the security of a place. While cost saving is a benefit that is consistent across all its applications, flexibility is another. The PoE cables transmit both power and data together to each and every device attached to the local area network (LAN) like in the image above. This allows devices to be installed easily in a network without the concerns of their proximity to AC outlets. Organisations save both the time and resources need to install AC outlet before installation of devices. As the device does have to be near the AC outlets for optimum performance, the flexibility to locate devices is broadened. Managing power sources and backups to protect the devices and the operation of the whole network against the power spikes is easy with PoE systems. Using a centralised power source, a Power over Ethernet supported network allows remotely powered devices to connect and disconnect during service reconfigurations and disruptions. PoE cable help in protecting the investment made into the network. This is because it has established 802.3 Ethernet protocol extension and is supported by various data rates which reach up to 10Gbps. Power over Ethernet broadens the security initiatives of a building premises by supporting CCTV devices for better surveillance. The digital signals allow the cameras to monitor who is accessing the premises. The only downside that PoE systems have is the transmission of limited power to the connected devices. The IEEE standard allows a set length of PoE cable to be used between the switch and the device. However, this can be easily solved by pre-planning the installation process. PoE + systems get heated due to the flow of electric current depending on current strength, DC resistance, installation conditions and other factors. This issue can be sorted by effective management of heat to keep the temperature in cable bundles suitable. Power over Ethernet incorporated in access control is necessary to design the future of security. 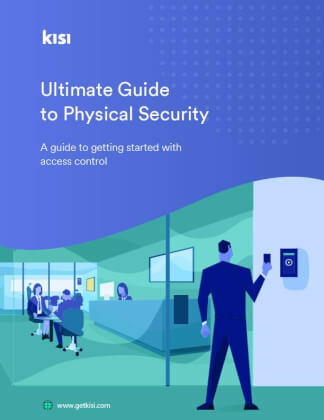 Adding scalability, manageability, and flexibility to the access control network, PoE helps in strengthening the whole security infrastructure of premises.